How to Download Video from Instagram on PC? Many Instagram users would come across such kind of questions when they’re surfing on Instagram. 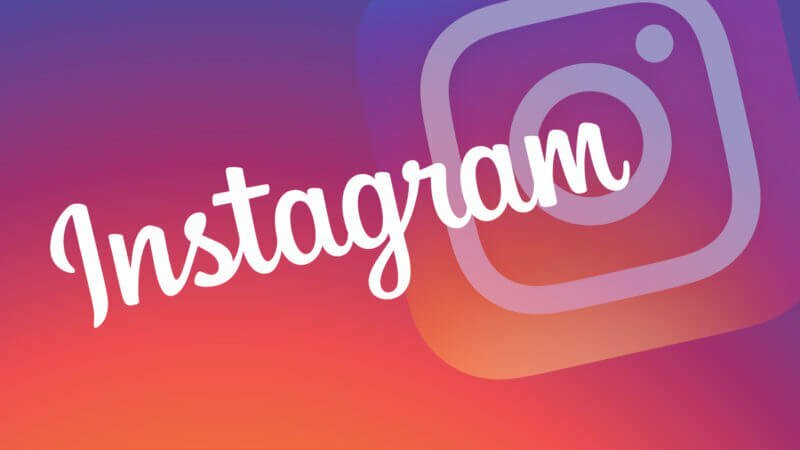 This guide would show you how to download videos from Instagram with practical Instagram video downloader software. You could make use of online Instangram video downloader tools to download videos from Instagram. We would like to take downloadgram.com for example to show you how to download Instagram videos. The below content would show you how to download videos from Instagram on different platforms. 1. Visit the downloadgram.com website. 2. Copy and paste the URL of Instagram video you want to download into the browser bar on this page. 3. Click the grey “Download” button. 4. Hit the green “Download video” button. 5. On the popup window, set output directory to save Instagram video. 6. Then click the “Save” button to start downloading videos from Instagram. to show you how to download Instagram videos. It would take a few minutes for you to download Instagram videos online with this online Instagram video downloader. As a mobile social network app, Instagram has been widely used on Android and iOS devices. So, how to download Instangram videos on Android devices? You also need to install an Instagram video downloader on your Android device. Open your Google Play Store and download an Instagram video downloader. 1. Install the Video Downloader for Instagram app. 2. Open Instagram and get the video you want to download. 3. Get the video link address on the Instagram video. 4. Open Video Downloader for Instagram and the paste the URL of Instagram video. 5. Tap “Allow” when prompted out. 6. Click “Download” option to start downloading Instagram video on Android. 7. Find downloaded Instagram videos on Android. There are multiple Instagram video downloader apps you could choose to download Instagram videos on Android. Choose the one you like. There are literally dozens of Instagram video downloader apps in the App Store that let you save photos and videos from Instagram to your iPhone. And most important is that most of these Instagram video downloader apps are free. Here we would like to recommend you use Regrammer to download Instagram videos on iPhone. The below steps would show you how to download videos from Instagram on iPhone with Regrammer. 1. Download and install Regrammer for free on your iPhone. 2. In the Instagram app, find the photo or video you want to download, then tap on the Share icon that looks like ” … ” above the photo, and select Copy Link. 3. 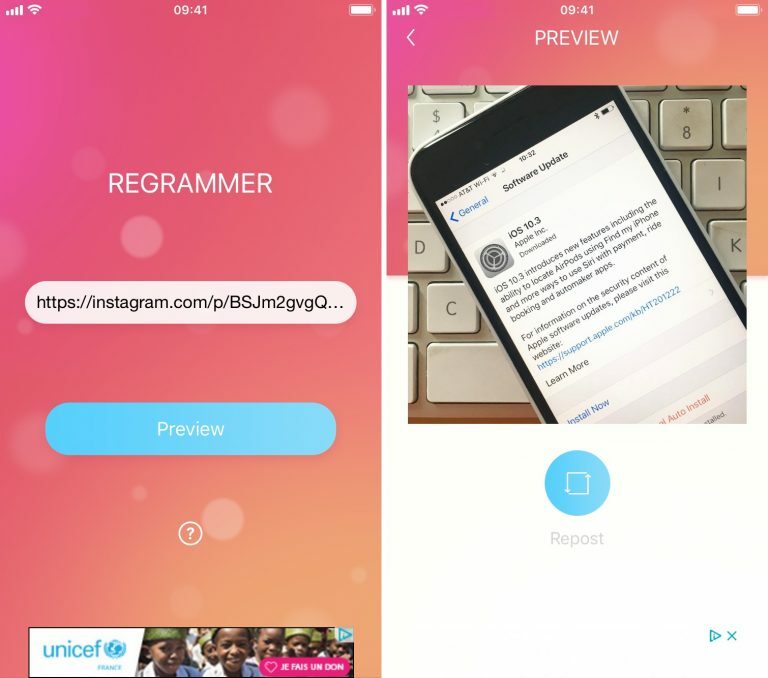 Launch the Regrammer app and paste the link you just copied into the box, then hit Preview. 4. Tap on the Repost button. 5. Tap on the More option. This will open the Share sheet. From there you can select Save Image to save the photo or video to your Camera Roll. Some people may have problem in uploading Instagram videos to blog or other video sharing sites, or uploading videos to Instagram due to format incompatibility. For example, you may want to edit downloaded Instagram videos in iMovie or FCP, or you might want to upload MKV videos to Instagram for sharing. However, Instagram videos are mostly saved in MP4. What should you do? We provide you a wonderful solution to handle the format incompatibility issues. That’s to make use of Leawo Video Converter. 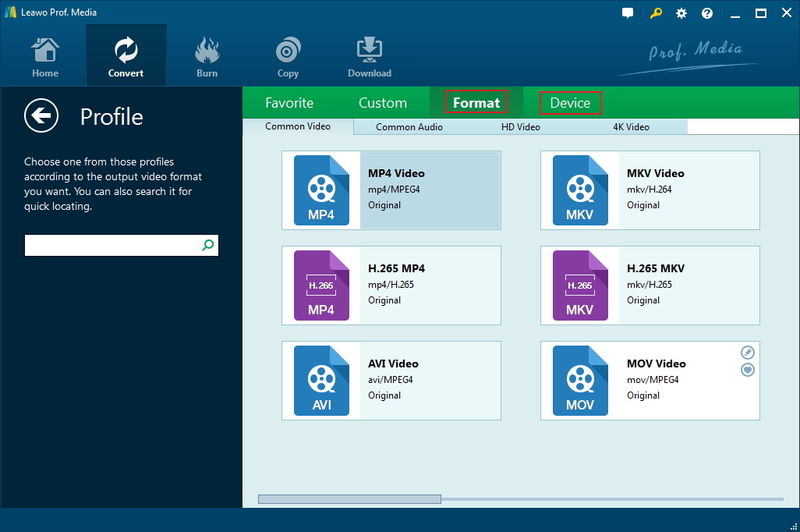 As a professional video converter software program, Leawo Video Converter could help you handle video conversions between various formats like MP4, AVI, FLV, MKV, RMVB, MOV, WebM, 3GP, etc. It could help you convert videos for Instagram, and convert Instagram videos for other uses. Download and install Leawo Video Converter on your computer and then follow the below steps to learn how to handl video conversions for Instagram videos. 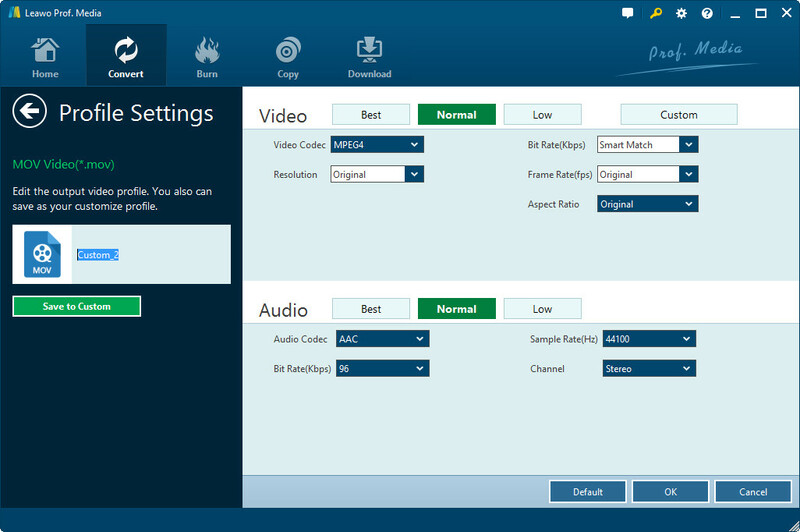 Launch Leawo Prof. Media and then click the “Video Converter” option on the home interface. After that, you will see an “Add Video” button. Click it to browse and add source videos you want to convert. The source videos could be downloaded Instagram videos and other videos. Click the button next to the “Add Photo” button and then choose “Change” option. Go to the “Format > Common Video” group to choose “MP4 Video” as output format if you want to convert videos for uploading to Instagram. If you want to convert Instagram videos to other formats, choose proper one that meets you needs. If you like, you could adjust the output file parameters like video codec, video quality, bit rate, aspect ratio, frame rate, audio codec, sample rate, etc. To do these, click the drop-down option next to “Add Photo” button and then choose “Edit” option. This is optional. 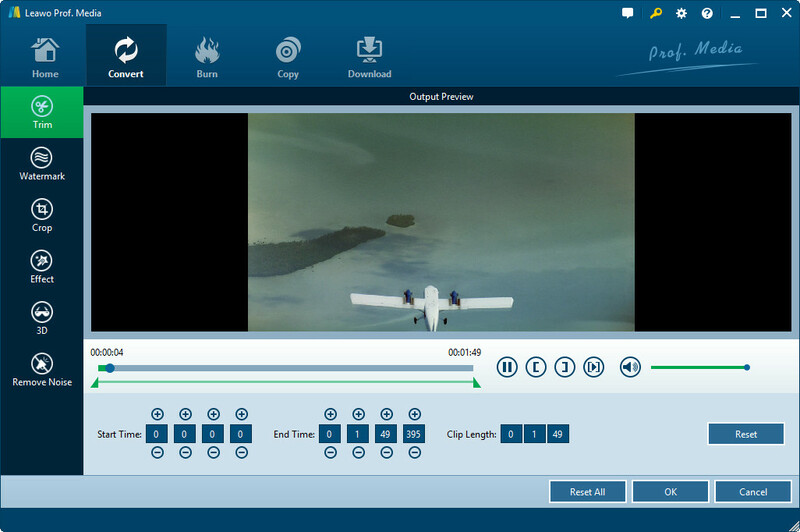 You could edit trim source videos, add image or text watermark, crop video files, adjust effect, apply 3D effect, and remove video noise before starting the conversion. Right click loaded source video file and then choose “Edit” option to do these. Click the big green “Convert” button on the program and then you will see a “Save to” box on the popup sidebar. Set output directory in it. Finally, hit the bottom “Convert” button on the popup sidebar to start converting videos. When you’ve finished converting Instagram videos to other formats or converting videos to Instagram MP4 video, you could then freely make use of the converted video files, sharing with others or uploading to Instagram as you like.